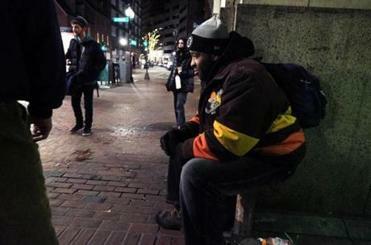 In mid-December, with the temperature in the single digits, William M. spent the night in doorways on Boylston Street in Downtown Crossing. 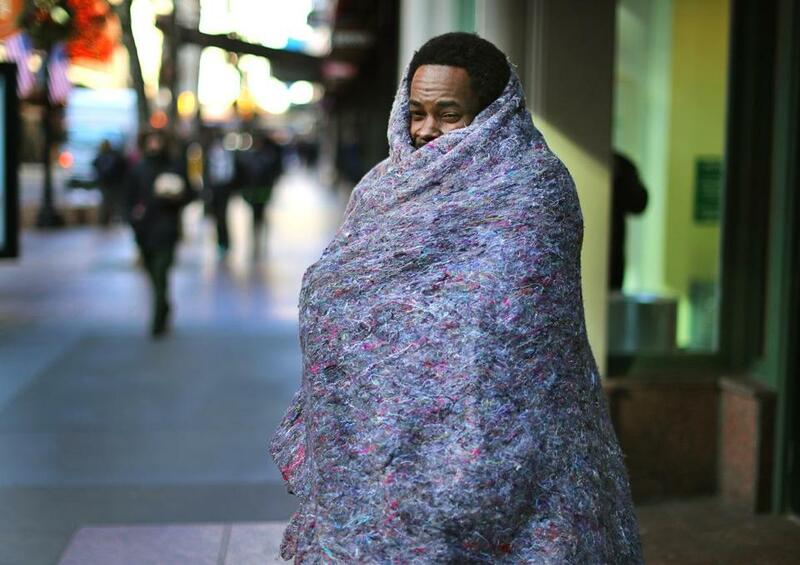 On any given night, nearly 20,000 people in Massachusetts will find themselves bedding down on the streets or sleeping in an emergency shelter. Homelessness is one of the most troubling problems facing the Commonwealth, and there is a wealth of evidence that it is likely to have negative consequences for the health and well-being of those it affects. Indeed, mortality rates among the homeless population are as much as nine times higher than the general population, and people experiencing homelessness make more frequent use of emergency departments and inpatient hospitalizations than their housed counterparts. Such heavy use of acute health care services is particularly costly to MassHealth — the state’s Medicaid program, through which a sizeable share of the homeless population receives health care coverage. When combined with emergency shelter, criminal justice, and other social services costs, the amount of public funds spent to help the homeless residents among us can be staggering. As representatives of the service provider , philanthropic , and policy maker communities working to address homelessness from different angles, we are acutely aware of the human toll that the problem exacts and of its impact on the public purse. We also know that complex problems like homelessness require creative policy solutions that cut across sectors. Fortunately, Massachusetts has had an innovative program in place for more than a decade that specifically targets the high-need, high-utilizing segment of the homeless population consisting of those experiencing chronic homelessness. More than 33,000 families – or more than 100,000 people – have spent at least one night in a homeless shelter since 2008. In 2006, forward-thinking leaders at the Massachusetts Housing and Shelter Alliance and the Massachusetts Behavioral Health Partnership collaborated to create a program that leverages Medicaid funds to provide reimbursement for flexible, community-based support services to people experiencing chronic homelessness. Services provided through the resulting program, known as the Community Support Program for People Experiencing Chronic Homelessness (CSPECH), are paired with separately financed and administered subsidized housing in an evidence-based approach known as permanent supportive housing. Stakeholders have long suspected that the housing stability and mitigation of unmet health needs that CSPECH helps facilitate would ultimately lead to large reductions in acute health care service use. We are encouraged by findings from a new study — directed by Thomas Byrne, an assistant professor at Boston University’s School of Social Work — that validate this belief and confirm that the CSPECH program is indeed a wise investment of public health care dollars. How wise of an investment? Using MassHealth claims data for all 1,301 individuals who initiated CSPECH services at some point between state fiscal years 2007 and 2013, we found these services are tied to a reduction of $11,914 in annual per-person health care costs — an amount that far outstrips the cost of CSPECH itself. Put differently, every dollar spent on CSPECH translates into as much as $2.43 in savings due to reductions in other types of health care service use. This news further validates the Commonwealth’s commitment to extend these services across all of MassHealth. First, the CSPECH program demonstrates that it is within our capacity to implement creative and effective policy responses to homelessness, and these can be done in a manner that makes highly efficient use of public resources. Second, we should look for opportunities to apply the principles behind CSPECH more broadly. There are many other social problems besides homelessness that negatively affect health outcomes and can lead to potentially avoidable use of costly health care services. These “social determinants of health” include food insecurity, domestic violence, unemployment, unsafe neighborhoods, and social isolation. Fortunately, impending changes to the way MassHealth delivers services will allow for greater flexibility in enacting creative solutions to address such social determinants of health. As the CSPECH experience shows, we have much to gain in doing so. Lyndia Downie is president of Pine Street Inn. Audrey Shelto is president of the Blue Cross Blue Shield of Massachusetts Foundation. Marylou Sudders is secretary of the Massachusetts Executive Office of Health and Human Services.